How To Buy The Best Juicer - Which? Know your centrifugal from your masticating juicers? Our expert guide will cut through the jargon and help you find the best juicer for you. Juicers come in all shapes and sizes, and use different methods to extract the juice from fruit and veg. But with prices varying by hundreds of pounds, it pays to know exactly what you need to get the best juice, and which features really will make your life easier. Read on for our expert guide to the pros and cons of different juicer types, how much you need to spend to get a great model, and what features to look out for. Once you've decided the best option for you, head to our Best Buy juicers page to discover the model that Which? recommends. How much do I need to spend on a juicer? 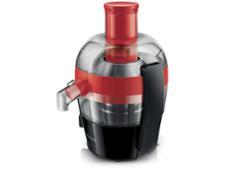 Should I buy a centrifugal or masticating juicer? How easy are juicers to clean? Would a blender or Nutribullet be better? You can pick up a cheap juicer for around £30, but prices vary wildly, with some premium juicers costing more than £350. Pricier juicers claim to extract more - and better quality - juice from your fruit and veg, but our lab tests show that this isn't always true. The good news is that you don't need to pay through the nose to get a decent juicer - we've found Best Buy juicers that squeeze every last drop out for less than £40. If you pay more, you'll usually get some useful extras, such as an extra-large feed chute - meaning you can juice whole fruits and vegetables without having to chop them up first, and a jug with foam separator, for smooth, foam-free juice. But these features can be found on good juicers costing between £70 and £150, so there's no need to pay over the odds. How much you're willing to spend will probably determine the type of juicer you go for. Centrifugal juicers are the most popular - and most widely available - type of juicer, and are the most affordable option. Masticating juicers - also known as cold press or slow juicers - tend to be more expensive. Below, we explain the pros and cons of each type of juicer to help you decide which juicer is best for you. If you just want to find the best juicer for your budget, head straight to our juicer reviews. The image below shows a centrifugal juicer (left) and a slow or masticating juicer (right). Centrifugal juicers work by shredding ingredients using toothed blades on the bottom of a rapidly spinning sieve basket. The spinning force then separates the juice from the pulp, flinging the pulp into the pulp bin while the juice filters through to the container or jug. Centrifugal juicers often have two speeds for hard or soft fruit and veg. Higher-end models sometimes include a 'soft fruit' disc too, allowing you to juice fruits such as berries, which centrifugal juicers are usually poor at juicing. Buying a more expensive model can mean you get a higher quality commercial-grade motor, more durable metal rather than plastic parts and a longer warranty. Pros: Quick to juice and often require less chopping of fruit and veg before juicing. Cheaper than slow juicers. Usually less bulky and slightly easier to clean. Cons: Less suitable for juicing greens, wheatgrass and soft fruits such as berries. 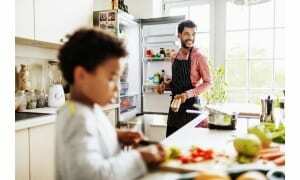 Masticating juicers – also known as cold press or slow juicers – are generally more expensive. 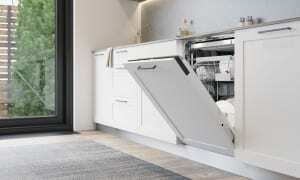 They're available principally online or from specialist kitchenware shops. Masticating juicers crush fruit and vegetables using slowly rotating gears (augers) and press out the juice through a perforated screen. They either use one gear pressing against its housing (single auger) or two meshed gears turning against each other (twin auger). Masticating juicers are also versatile – some can be used as mincers or coffee grinders, or for making pasta, nut butters or even ice cream. When you add in long warranties they can be worth the high initial price. 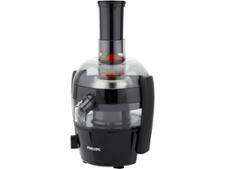 Pros: Quieter to operate, suitable for juicing leafy greens, wheatgrass and soft fruits. Can be used for other food preparation tasks. Cons: Slow, lots of parts to clean, expensive. To find the best centrifugal or masticating juicer, head to our juicer reviews and see which models scored best in our juicer tests. Most juicers have at least five separate parts that need cleaning, and these are often awkward shapes, so they can be very tedious to wash up. Our top tip is to clean your juicer straight away, as if you leave the pulp to dry out it's much harder to scrub clean. If you’re not keen on hand-washing all the attachments, look for a juicer where the sieves, gears and containers can be put in the dishwasher. They may still need scrubbing, but at least the rest of the cleaning will be easier. Some juicers come with a cleaning brush included. And the handles of some brushes double as a spatula for scraping out fruit pulp from awkward spaces in the juicer, so look out for these to make cleaning as easy as possible. Rather than attempting to separate juice and pulp, a blender simply blitzes the whole fruit, and you drink the lot. This makes blenders ideal for smoothies, but not so good for juice. 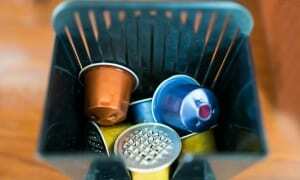 Some blenders do come with filter sieves to keep the pulp out of your drink. But if it's a clear, tasty drink you're after, there's no substitute for a juicer. The Nutribullet is a hugely popular mini personal blender, which blends whole fruit and veg directly into a cup. If you're keen to get a speedy daily smoothie fix, there are lots of personal-style blenders to choose from. Find out the top-rated models in our blender reviews. Some extra features may not be top of your list when looking for a new juicer, but they'll make your life much easier in the long run. Below, we run through key things to look out for when choosing a new juicer. Jug with foam separator: Not all juicers come with a jug to collect the juice in. The most useful include a jug with foam separator. This is a plastic barrier which allows you to pour juice but holds back any foam. Some will also have lids for easy storage in the fridge. Check that you can also easily fit a glass under the juicing spout for extra versatility. Drip-stop spout: A handy extra, although in our tests not all do their job properly. It stops any remaining juice inside the machine from dripping out onto your worktop after you've finished juicing. Look out for drip-stop spouts which work by flipping upwards, as these tend to be the most effective. XL feed chute: Some juicers have extra-large feeding tubes that can fit apples and other fruit whole. This saves time, as you don’t need to mess about pre-chopping fruit and veg. Read the instructions, though, as some models still suggest you do some preparation - like coring apples, for example. With other juicers you'll need to peel and cut fruit or vegetables before you feed them in for juicing. Non-slip feet: The majority of juicers we've tested have these. They are usually small rubber pads or suction cups, and help to keep your juicer steady as it whizzes fruit and vegetables. Pusher: This fits into the feed chute and lets you safely push small fruit and vegetables into the juicer without risking your fingers. Look for one that has a comfortable rounded end to fit in the palm of your hand, as you might need to use quite a lot of pressure with harder vegetables. Safety lock lid: Almost all juicers have a safety lock lid. This means the juicer won't work unless the lid is clicked into place securely. Speeds: More than half the centrifugal juicers on test have two speeds, so you can select a slow speed for softer fruits like grapes, to prevent them bouncing out of the juicing shaft or not juicing properly, and a higher speed for harder fruits and vegetables such as carrots. 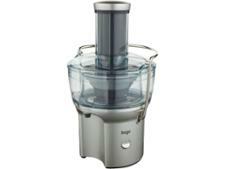 Masticating juicers usually have a reverse gear, which can help to clear any blockages. 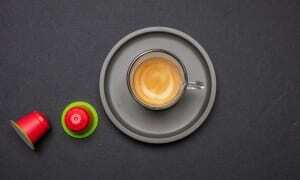 Soft-fruit disc: This extra attachment for centrifugal juicers means you can add softer fruits, like berries, to your juices, creating thicker smoothie-like drinks. Some masticating juicers also come with extra, wider, juicing sieves for making thicker drinks and even fruit coulis. Citrus press: The easiest way to juice citrus fruits is by slicing them in half and using a citrus press attachment. If you're keen on orange juice, it might be worth looking for a juicer with this attachment, to avoid spending lots of time peeling and preparing fruit. Now you know what to look for, find your perfect juicer by checking out our independent juicer reviews.